Alternative network provider, CityFibre has started work on a £30 million full fibre network expansion in Huddersfield, UK. Alternative network provider, CityFibre has put in place a debt package of £1.12 billion, proceeds from which are to be used to fund the first part of a £2.5 billion investment plan, which will see the company roll-out full fibre to five million homes by 2025. 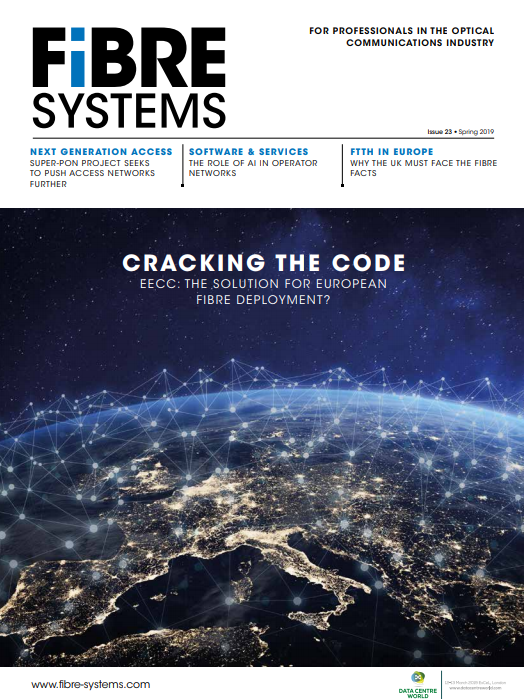 The FTTH Council Europe has called for an end to misleading fibre advertising in an open letter from president Ronan Kelly to telecoms ministers, who recently gathered in Brussels to adopt the new European Electronic Communications Code (EECC). Members of the optical communications industry celebrated the sixth annual ‘Gimme Fibre Day’ on 4 November this year, by paying tribute to Sir Charles Kuen Kao, who passed away in September.